My name is Florence "Flo" Gans. I am the owner and president of PathMakers, Inc. I have found my life's perfect path. I offer Emotional Freedom Techniques, Life and Health Coaching, and Healing Touch in Raleigh NC. Prior to coaching, my background was decidedly technical! I worked for IBM for 21 years. During my techie career, I had 11 years of software design and development experience with three companies on 14 projects. I have nine years of software development process and methodology consulting experience. During my methodology consulting years, I taught dozens of software methodology improvement classes in three countries. I also have six years of software project management and team lead experience on seven major software projects. Throughout my career at IBM I received 22 Excellence, Management Appreciation and other corporate awards. During my technical career I was always passionate about learning from the past and making changes that would improve the quality and productivity of future software projects. It was this passion for improvement and love of people that brought me to coaching. During my first year as a Life Coach I had clients experience dramatic emotional healing from past trauma. The first two times this happened I was thrilled. The fourth time it happened I was mystified. I wanted to understand how this healing was happening. Thus began my journey to solve this healing riddle. I was 40+ years old and had never heard of energy work or of the human energy field. As I searched for answers, I was incredulous to discover a huge body of knowledge which was totally new to me. Energy work and energetic healing was the explanation to the riddle of my coaching client's mysterious healings. I was fascinated with this new body of knowledge. When I am passionate and fascinated by a topic I will disappear for months as I totally immerse myself in the quest for useful knowledge. I researched a large number of the countless energy modalities for which training is available. Coming from my analytical computer science background, I resonated most with the Healing Touch curriculum. Healing Touch originated in the American Holistic Nurses' Association, it had a stiff certification program, and it had a rigor, standards and professionalism that I felt was lacking in many of the other energy curriculums. During my first year after discovering energy work, I devoted myself full time to exploring this intriguing frontier. I practiced on any two- or four-legged being that would hold still for a treatment, read, did energy healing exercises and took energy healing classes. I spent my second year working on my Healing Touch certification. I am now a Certified Healing Touch Practitioner (CHTP), Healing Touch Certified Practioner (HTCP) and a Healing Touch for AnimalsTM Certified Practitioner (HTACP). I have pursued Life Coaching, Healing Touch, Healing Touch for AnimalsTM, and Emotional Freedom Techniques because they are all energy work. They all help me help my clients: figure out their life's purpose; clear the blocks that are keeping them from living their life's purpose so they can start living that purpose. 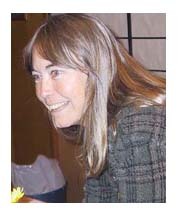 Along with Life Coaching, Healing Touch, and EFT, I also pull from my experience with: health, nutrition and wellness; environmental aspects such as color, sound and home surroundings; meditation; breath work; Taoism; Sound Therapy; clutter control, time and project management; teaching, facilitation, and speaking; and multicultural perspectives. All of these modalities help me help my clients be joyous and thrive on their perfect path. Board of Directors: In addition to serving as Vice President of the Raleigh/Durham Area Chapter of the ICF in 2001, I served on the Board of Directors for the Cedar Hill North Homeowners Association for 9 years in numerous roles. For several years I was also on the Board of Directors for Wake Community Recycling, which organized recycling drives for the Raleigh area before Wake County rolled out their curbside recycling program. Estate and Tax Planning: For the last decade I have been expanding my business knowledge by becoming an "expert" in estate and tax planning. I handled the finances for my Grandmother (from the end-of-life perspective) for the last three years of her life as well as being Executrix of her estate. I have been handling my Mom's finances (retirement perspective) since 1997, handled an aunt and uncle's estate, as well as managing my own affairs (middle of career planning). Hobbies: I LOVE being out-of-doors!!! I love running, hiking, kayaking, gardening, yoga and helping people discover their untapped potential!!! I am a voracious reader, often reading 10 books at a time! I have a fascination for learning about other cultures. I have close friends from India, Egypt, Ukraine, Lebanon, France, Russia, Australia and Barbados.